Weight loss: It not only makes you feel full, but also flushes out toxins in our body. If you are feeling hungry, you may just be thirsty. Drink up! And then see how hungry you are. Salty foods and boxed or frozen food are also high in sodium and will dehydrate you. Allergies/Sickness: If you suffer from congestion, water helps thin fluids so you can get them out. If you take allergy medicines with antihistamines, they dehydrate your body. Drink lots of water if your sick or are taking allergy medications. Skin: Winter air is especially dry. Summer heat and sun also cause more sweating, which releases our fluids. If you suffer from dry skin (even oily skin), or chapped lips, drink up. It also gives our skin a luminous glow because it is hydrated. Acne: Drinking water will definitely help clear up your skin. Acne can be caused by toxins in our bodies from foods we eat. Dry skin can clog our pores, and over-productive oil glands from not getting enough hydration can cause acne. So even if you're oily, drink up! So how do you go about drinking more water? Adding fruit makes water so much tastier and fun to drink! It not only adds a yummy refreshing flavor, but adds vitamins and antioxidants that our bodies need. It can also help to cover up that tap water taste if you don't buy bottled water. I also recommend buying a water filter for your faucet, a filtered pitcher to keep in your fridge, or a Bobble water bottle that has a built in filter. They're cheap and can save you tons of money, and are better for the environment! I love adding any fruit I'm in the mood for. It's a way to switch up your water and make it less bland. You can combine fruits (I love lemon and strawberries together), or just use one. Cucumbers are an interesting flavor that makes the water taste extra refreshing! If you don't buy organic, make sure you wash your fruits first to remove any chemicals. (I can make another post on why you should eat organic if you want). Adding fruit can also help with hunger and sugar cravings. I have a huge sweet tooth (I mean bad) and the natural sugars in fruit sweeten the water just enough. If you let it sit, more flavor will come out. And trust me, it's much better than those sugary flavored waters they sell at the store. 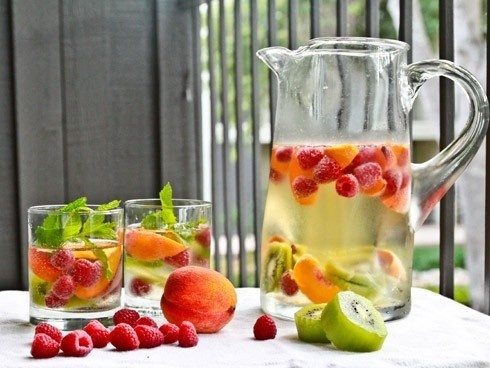 So dump some water into a pitcher, throw in your favorite fruit (or all of them) and some ice to keep it cold. I like to keep a pitcher of it in my fridge so I can pour some whenever I want, and it sits and gets lots of flavor. Soon enough, your skin will be clear and your body will be healthy! Comment below if you try it, and tell me your favorite fruits! P.S. 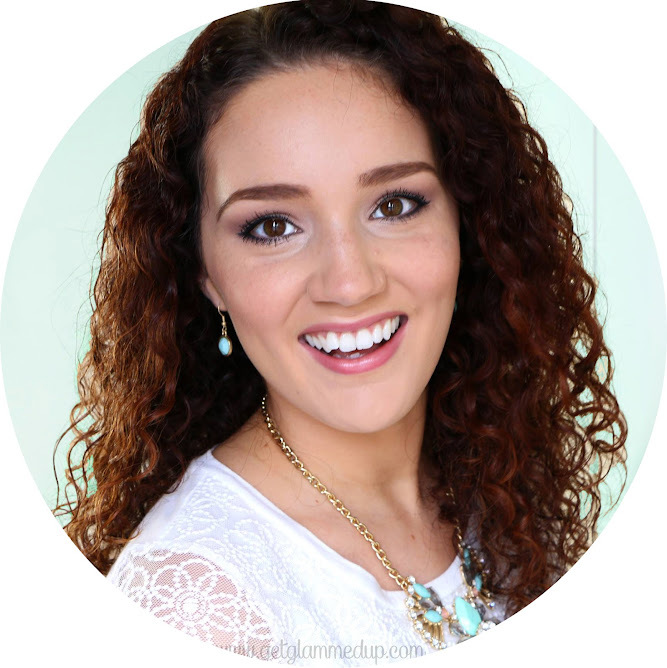 I have a new post over on GlammedUpDesigns all about my new blog and youtube look! OMG that's amazing I LOVE FRUITS but allergic to kiwi sadly T^T I can replace the kiwi with something else haha, ooooooooooo can't wait I'm defo going to try this!! Thank you for the baking soda tips. I will definately put it on my grocery list.